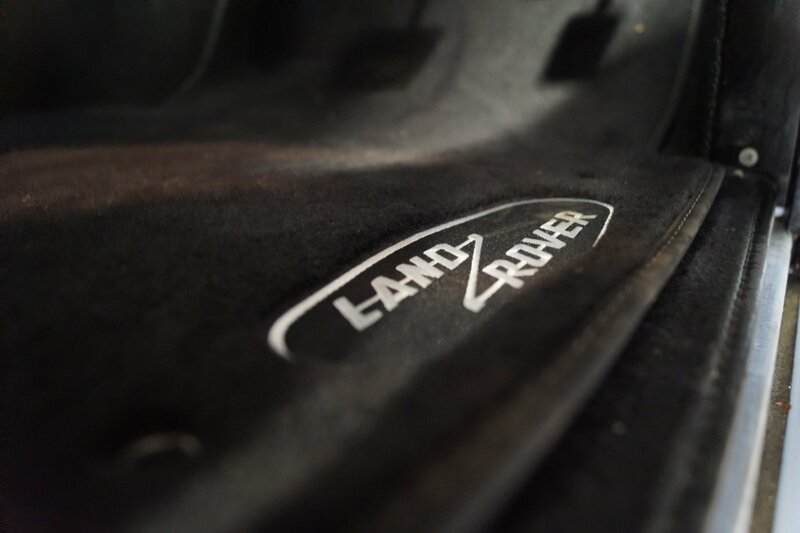 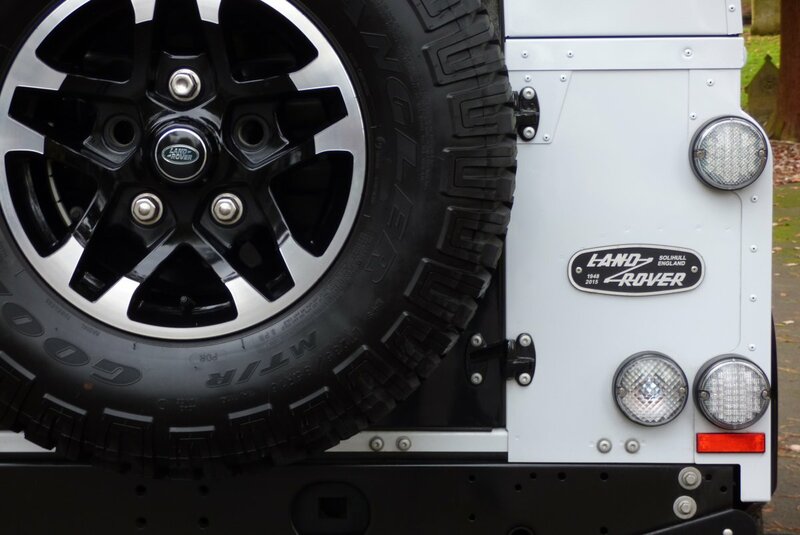 Ever Since 1948 Land Rover Has Offered The World The Mighty Land Rover Defender, With The First Formally Known As The Land Rover Series One. 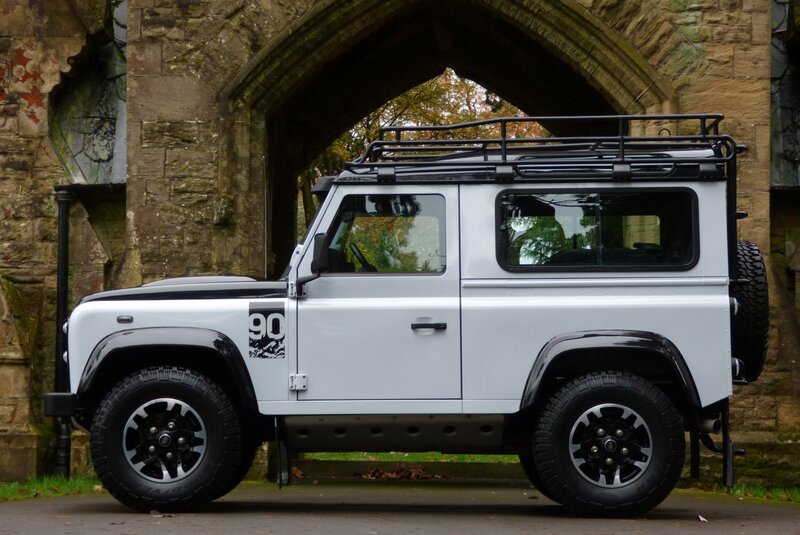 During The Continuous Run Of A Staggering 67 Years, The Model Changed Only Very Slightly, With The Defender 90 Being Showcased To The World In 1984. 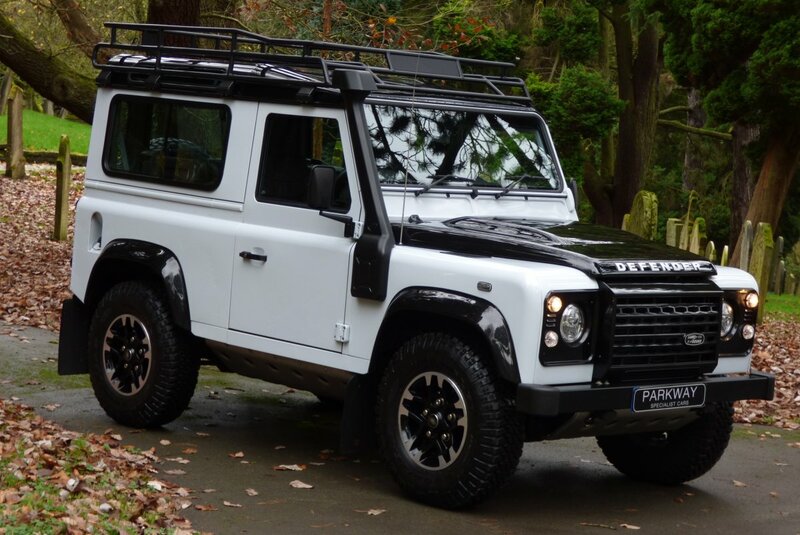 This New Offering Was Basically An Up To Date Version Of The First Models Produced, Featuring The Same Basic And Unique Exterior Design, With Exceptional Off Road Capabilities, But Now The Company Wanted To Make This Model More Desirable To A Wider Audience, Thus Introducing A Better Level Of Revised More Relevant Interior Equipment, Which Was Better Suited To The Modern Day Driver. 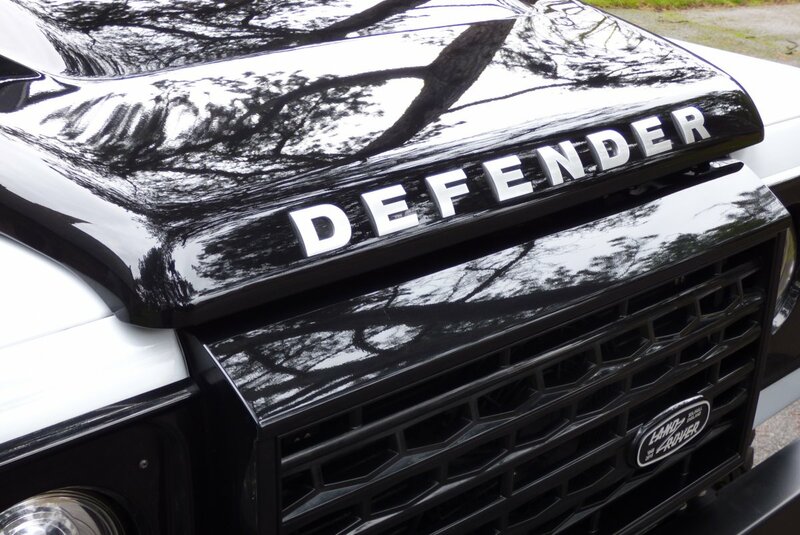 During The Years, The Land Rover Defender Was Heavily Used As An All In Out And Capable Four Wheel Drive, With The Order Banks Mainly Being Secured By Land Owners, Military Forces From Every Corner Of The Planet, Police Departments On Every Continent And Even Key Members Of The British Royal Family. 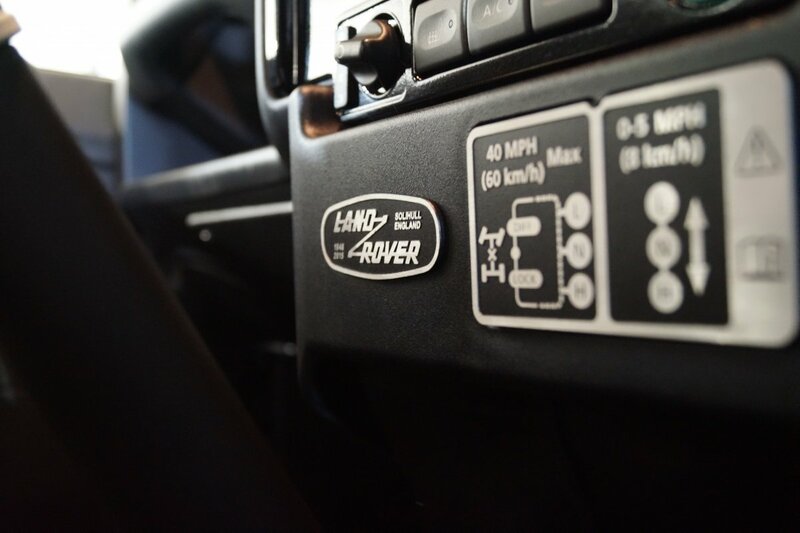 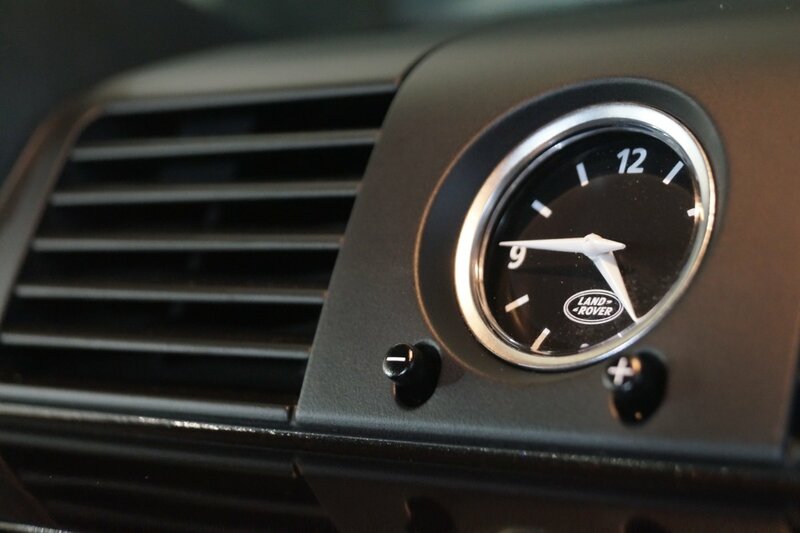 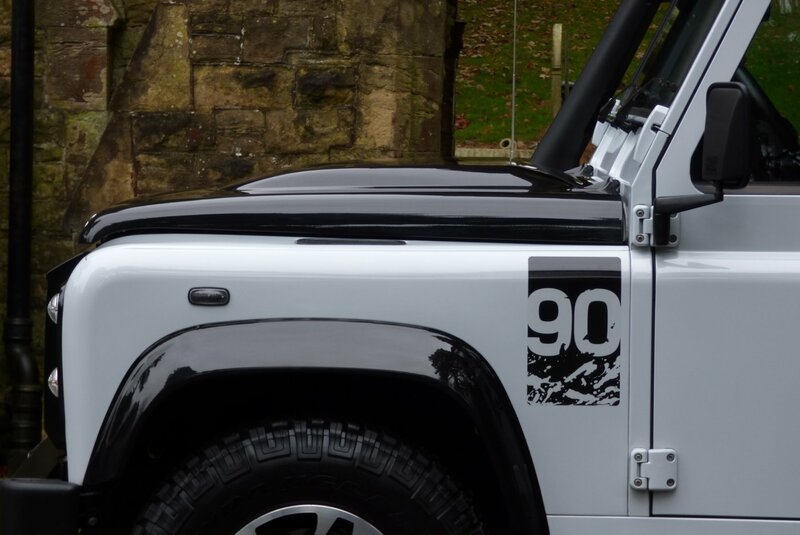 This Remarkable Vehicle Was To Be The Company's Greatest Success Story And Prior To The Sad End Of Production On The 29th Of January 2016, Land Rover Wanted To End This Fabulous Chapter With A Handful Of Final Limited Editions To Include The Land Rover 90 Adventure. 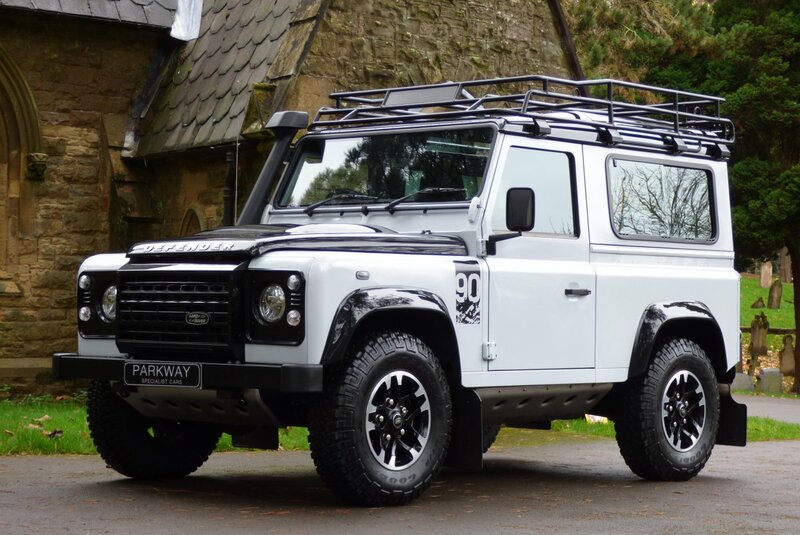 The Adventure Was To Be Very Limited Indeed With Only 600 Units To Roll Off The Production Line And Due To The Published End Of This Much Loved Brand, This Rare Limited Edition Model Sold Out In Record Breaking Time, To People That Wanted To Buy Their Very Own Piece Of British Motoring History. 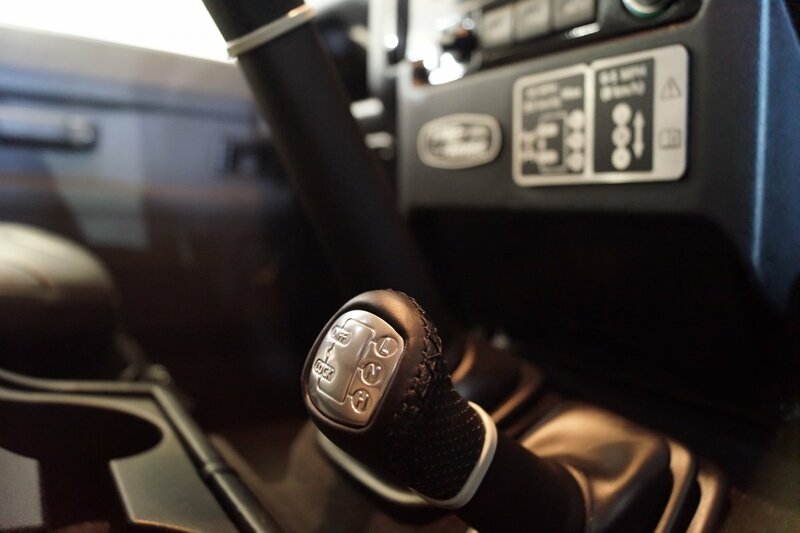 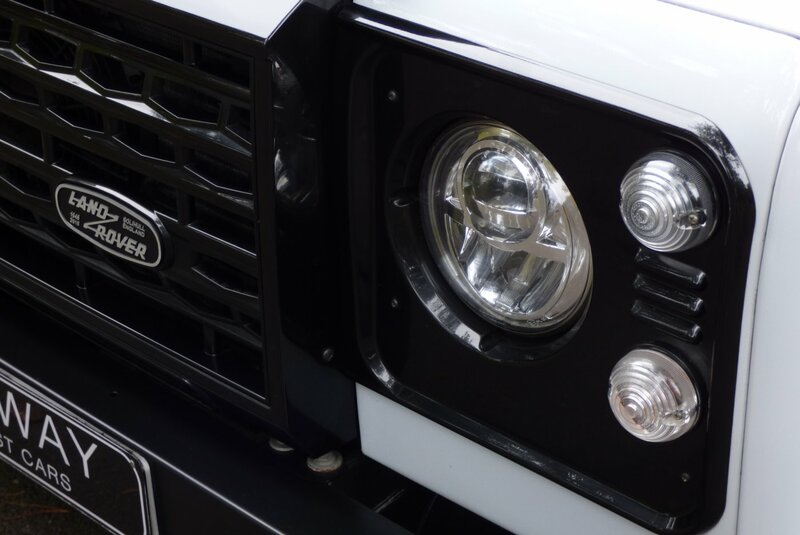 If We Fast Forward To 2017 The Desirability Of The Defender Has Not Decreased At All, In Fact They Have Increased In Popularity From Buyers And Even Global Collectors Chasing The Very Best Left To Acquire, So We Firmly Believe That This Will Be A Very Interesting Proposition To The Next Lucky Keeper. 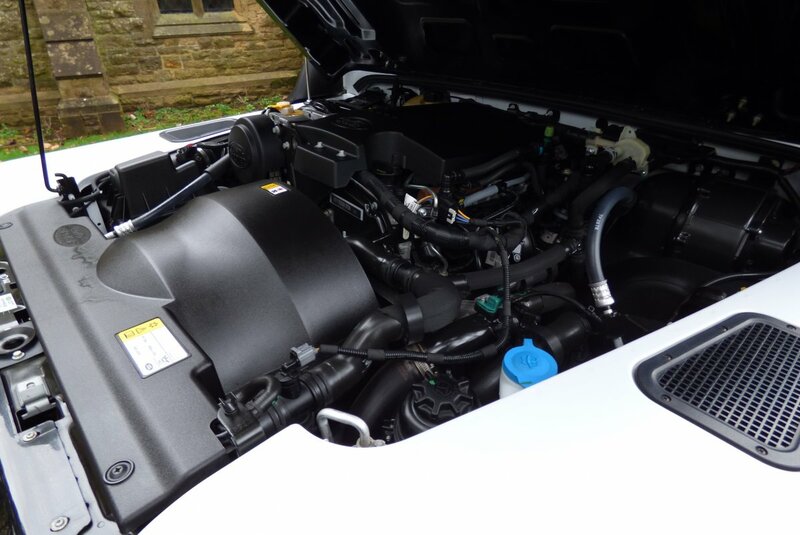 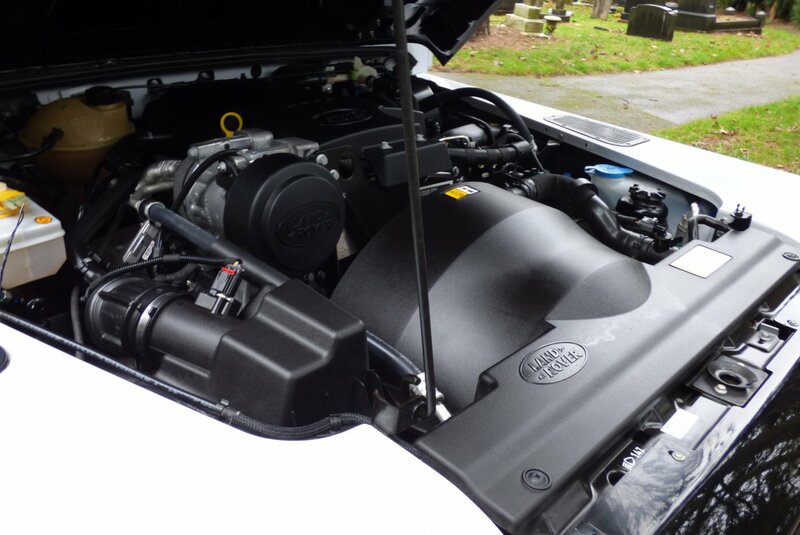 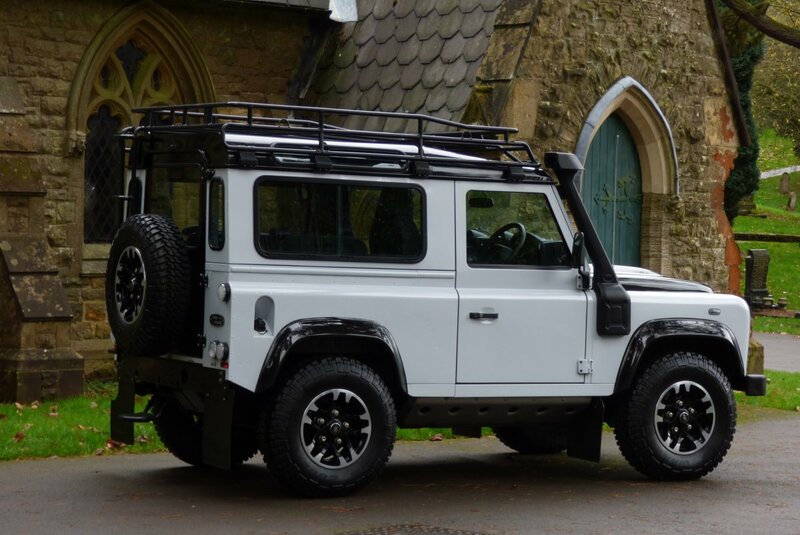 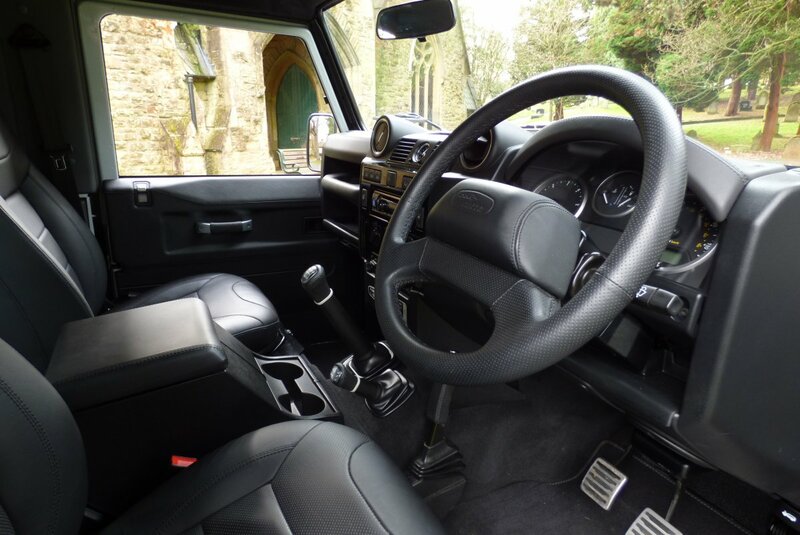 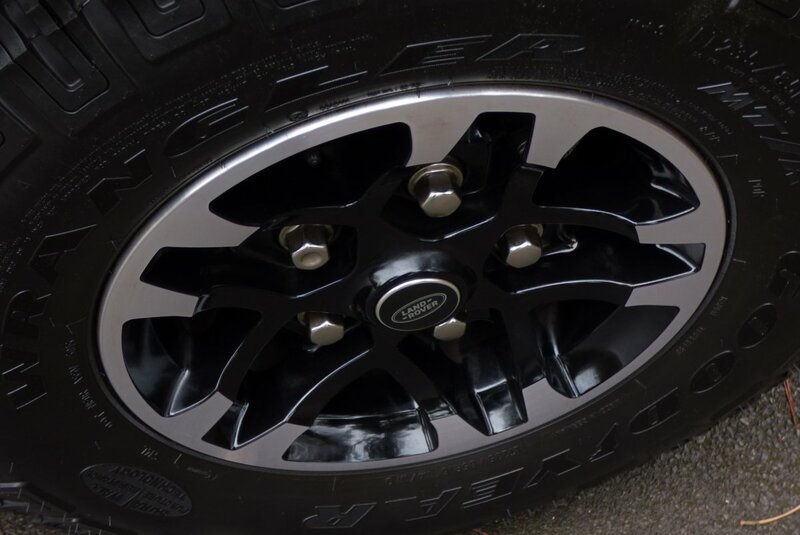 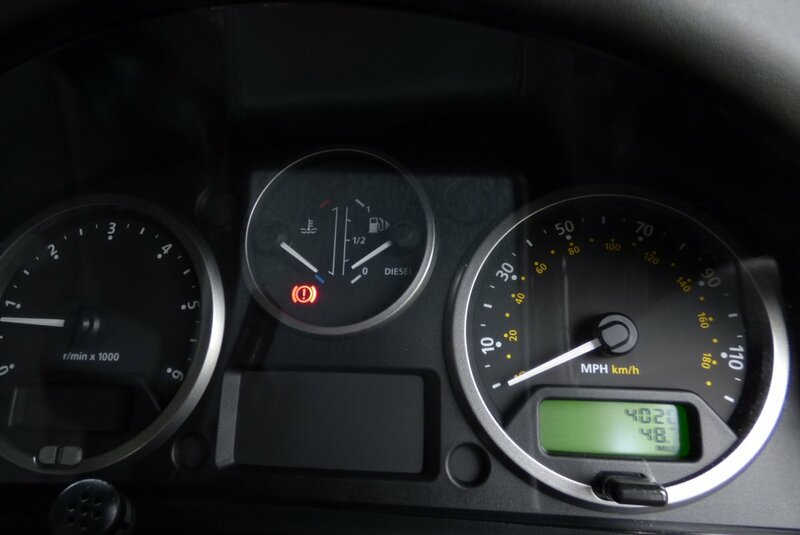 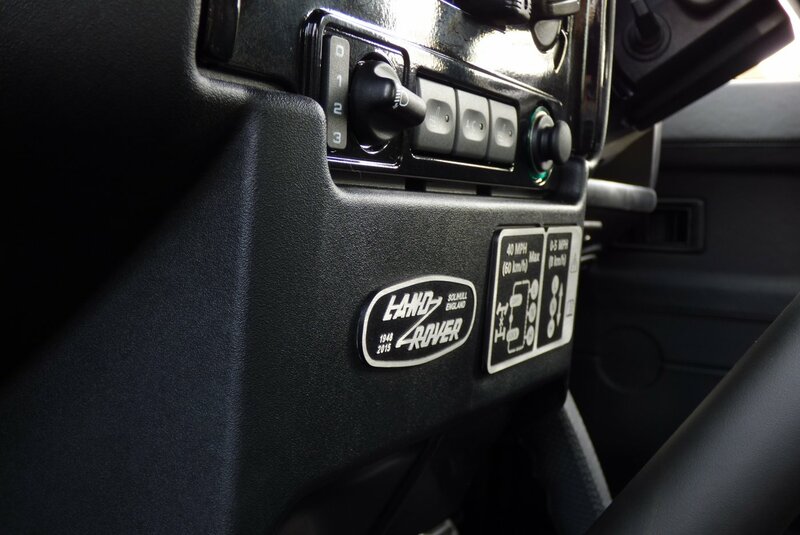 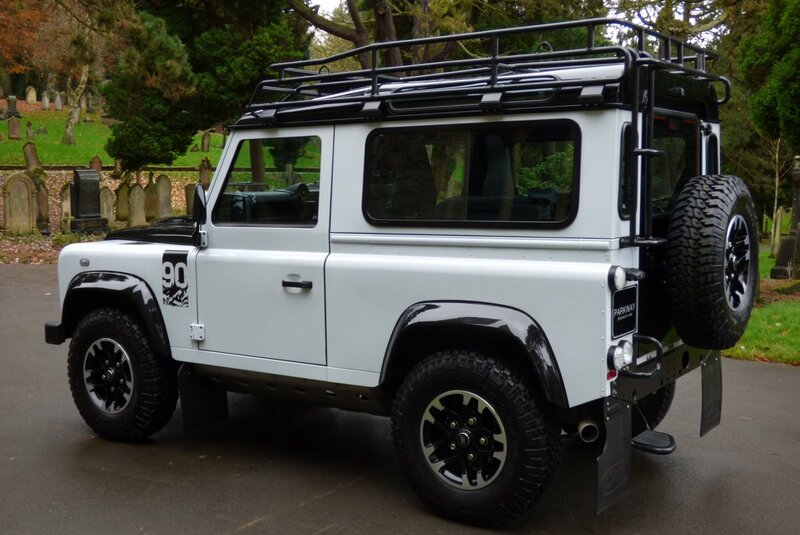 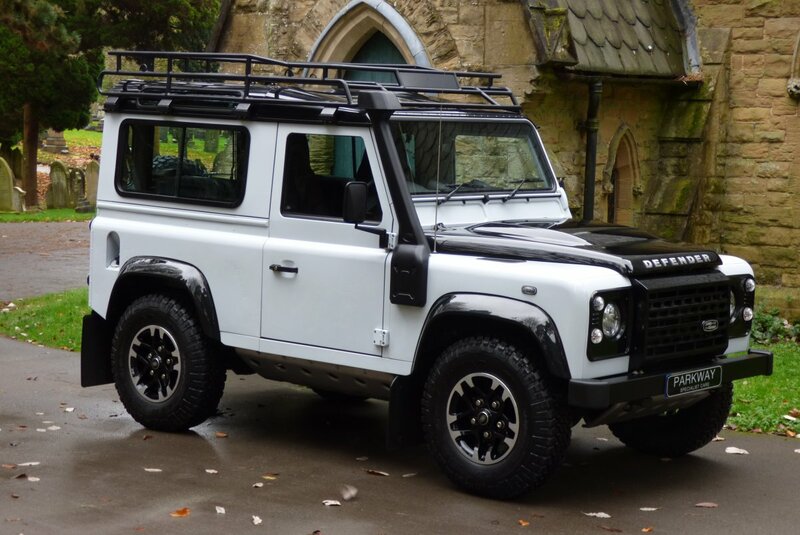 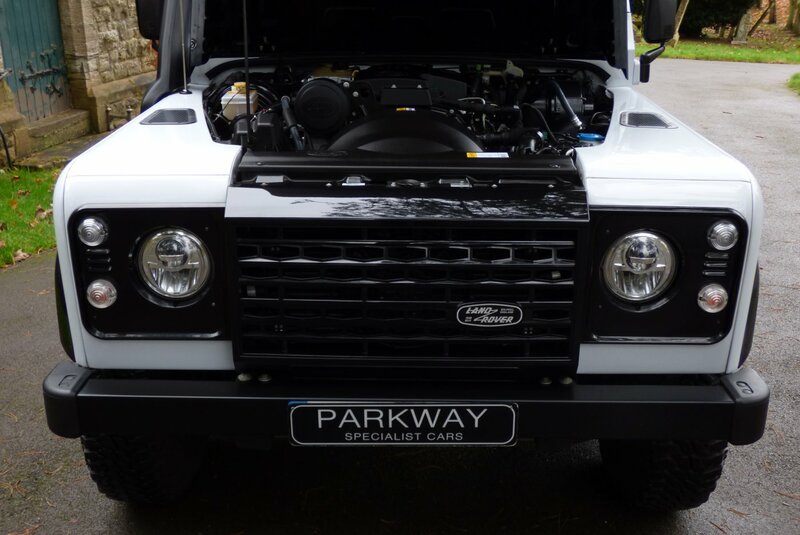 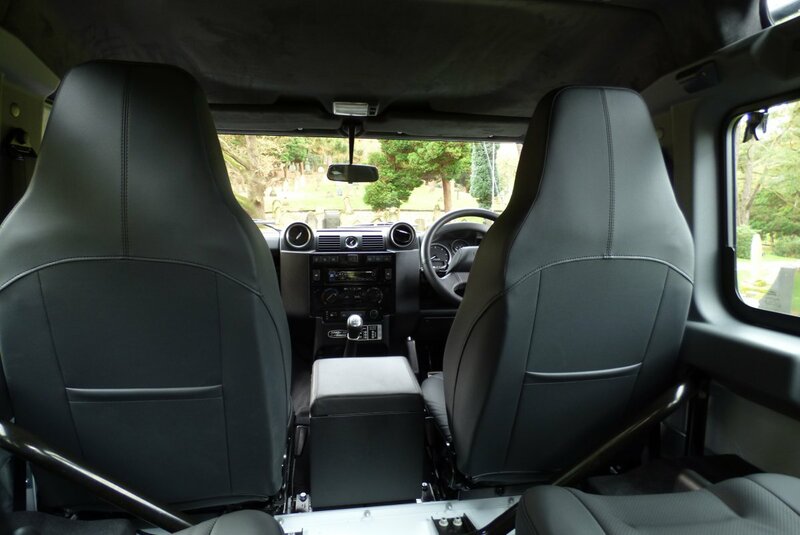 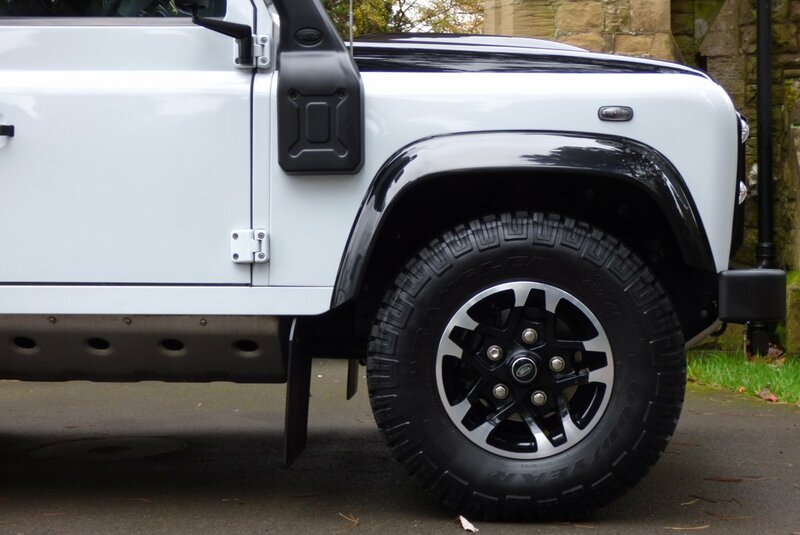 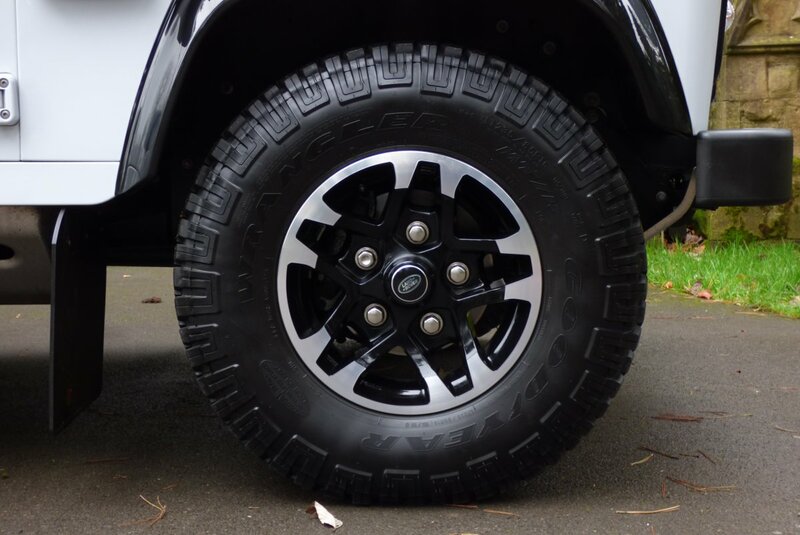 This Stunning Example Was First Supplied By Hunters Land Rover In The April Of 2016 And Since This Point Has Had Very Minimal Miles Applied, However Regardless Of This Special Unit Has Already Had The First Service Completed In The September Of 2017 At 3970 Miles.  The Car Will Be Presented Upon Our Sale With The Entire Booklet Pack Set, A Fully Cleared Hpi Certificate, A Fully Functional Key Set And The Factory Build Card, Ready For The Next Person To Keep And Cherish During Their Time Of Ownership. 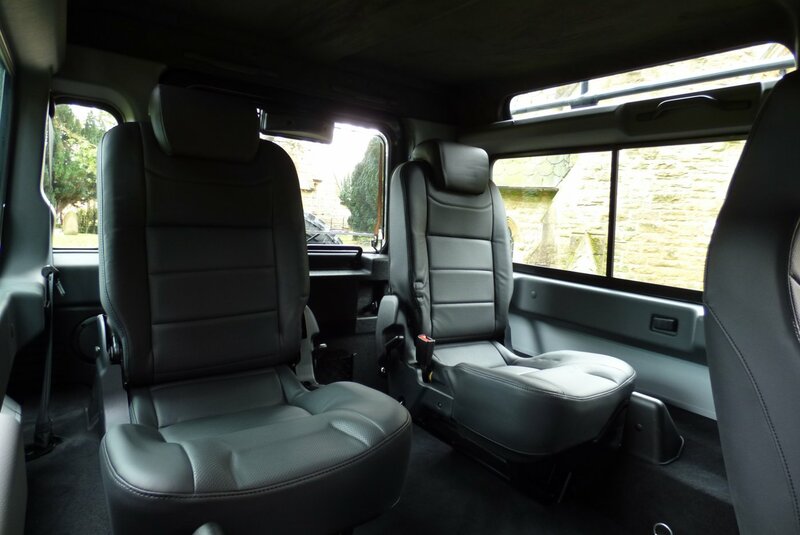 The Interior Is Presented In Beautiful Total Condition And Offers An Exciting Cabin Space, Which Is Perfectly Usable No Matter The Task. 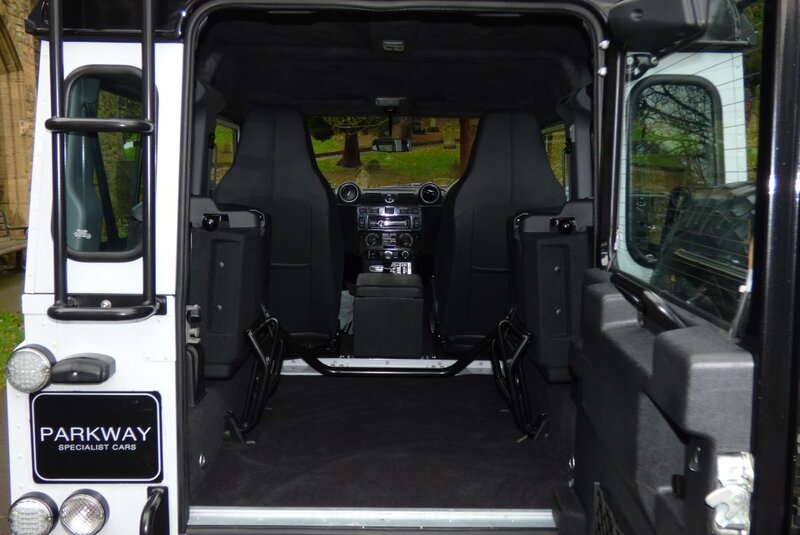 From Factory Build This Lovely Example Was Opted With The Luxury Leather Seating Complemented With Dark Twin Needle Stitch Detail, The Leather Dash That Wraps Around This Inviting Interior, Leather Trimmed Door Cards, Dark Grey Suede Roof Lining, The Optional Leather Trimmed Centre Cubby Box, Metal Turned Internal Door Handles, The Land Rover Embossed Leather Bound Two Spoke Steering Wheel And Decorated With Piano Black Interior Inlays, That Finish This Dramatic Effect. 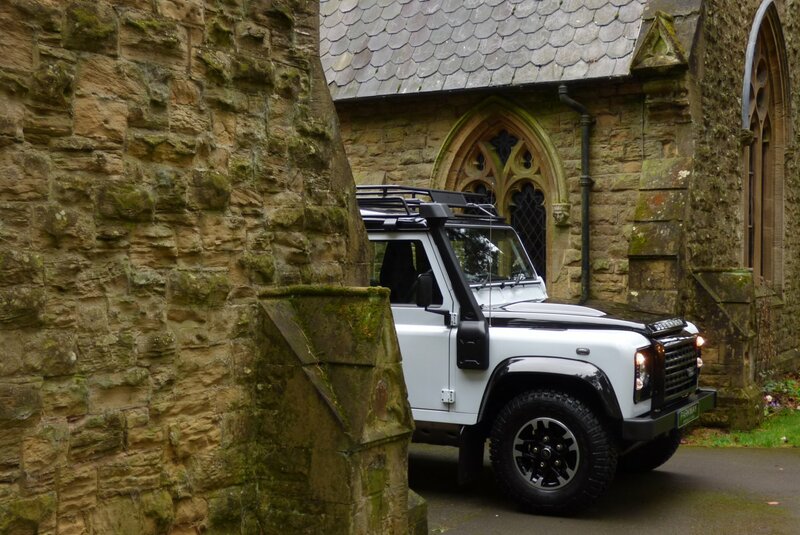 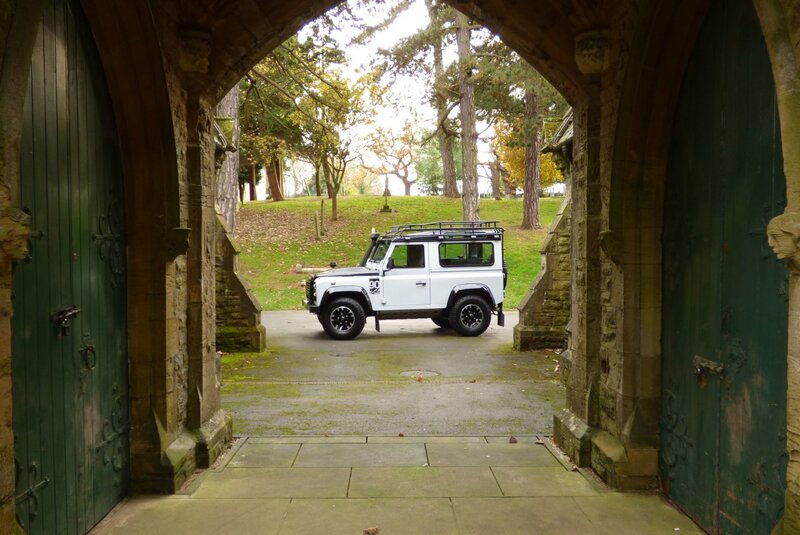 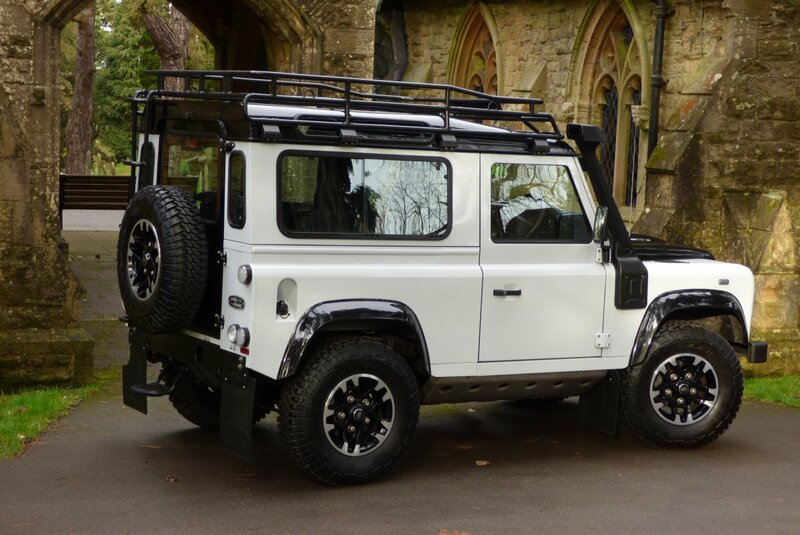 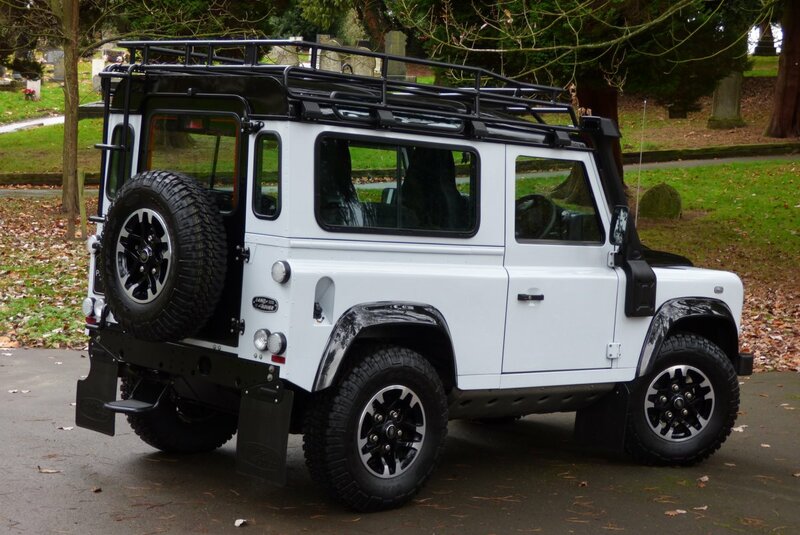 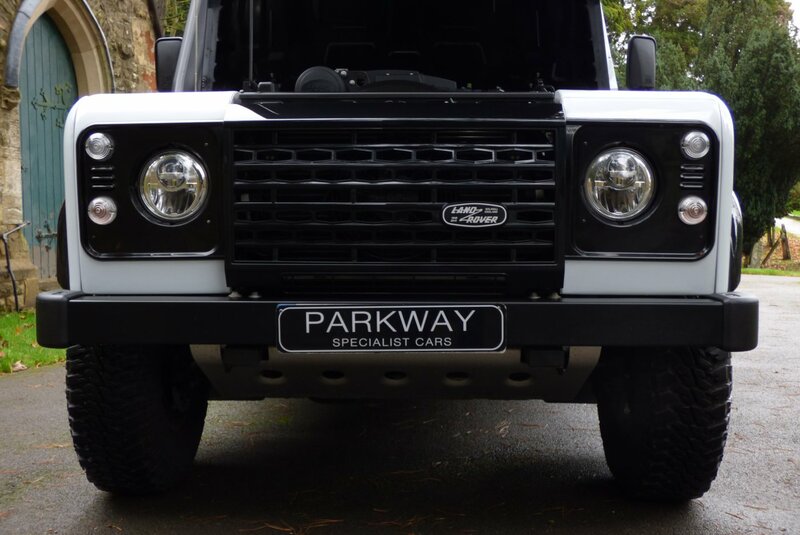 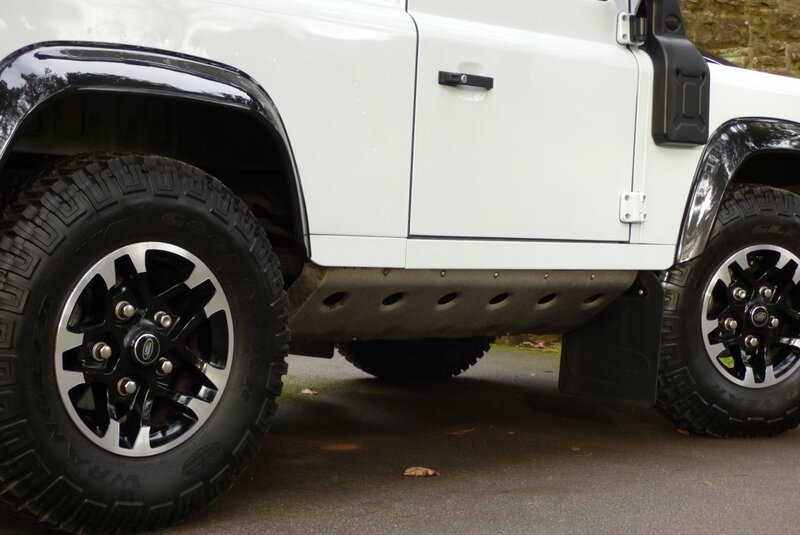 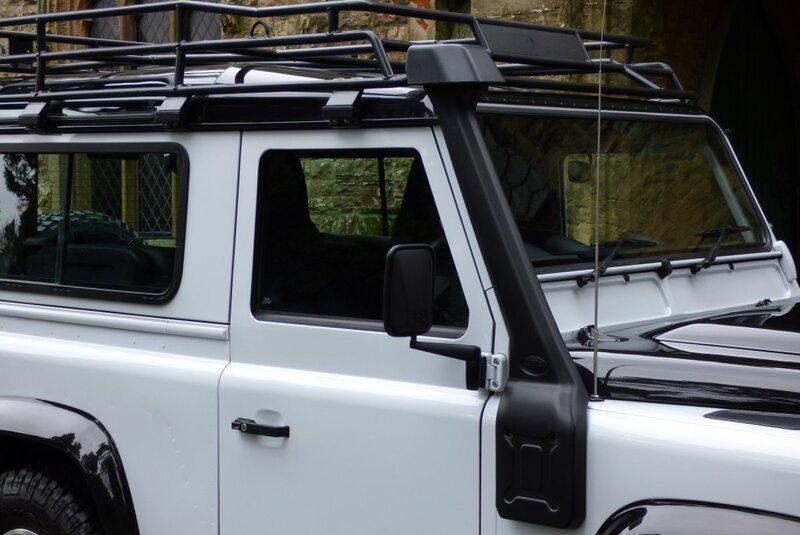 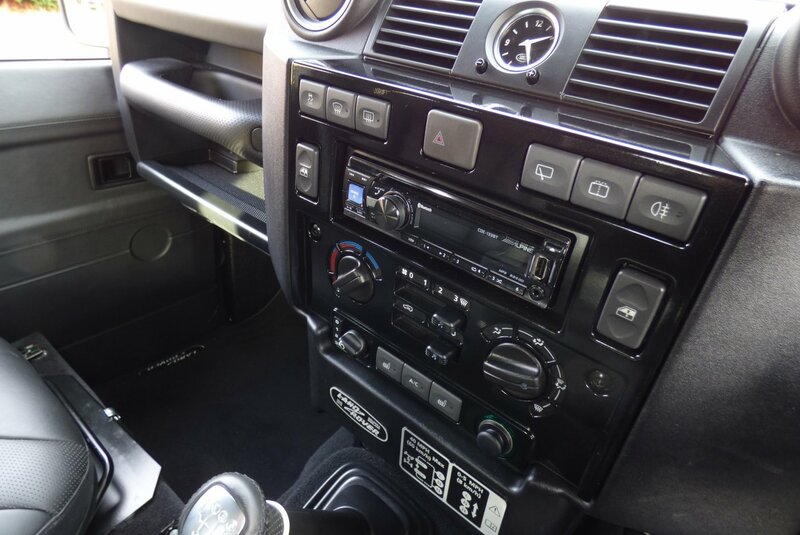 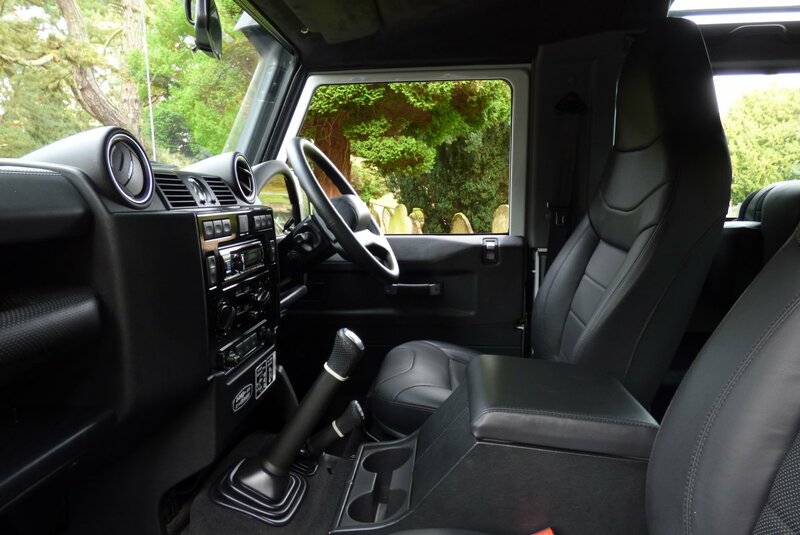 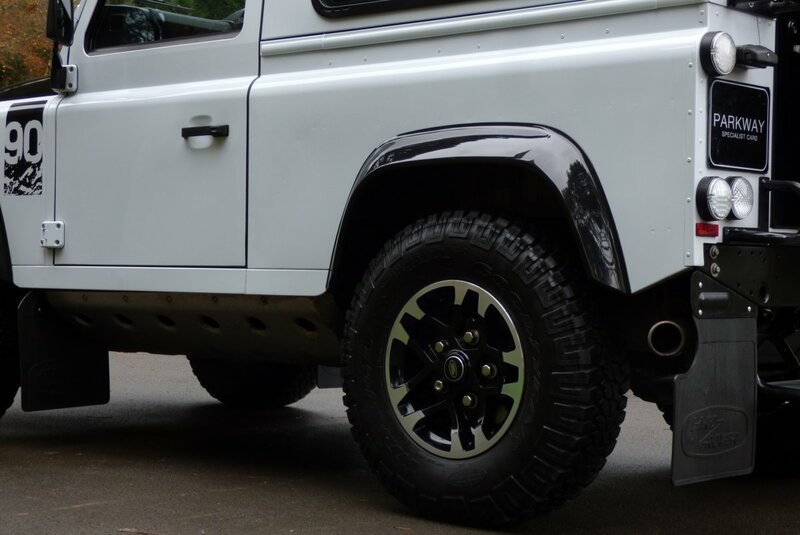 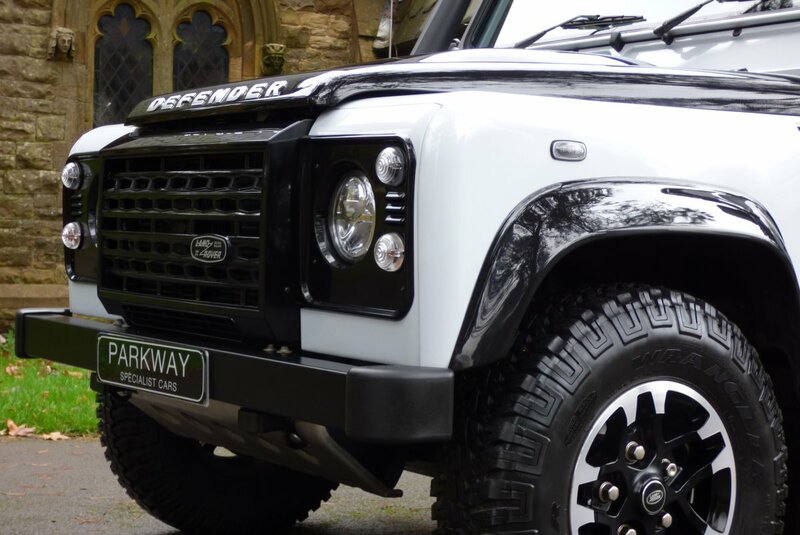 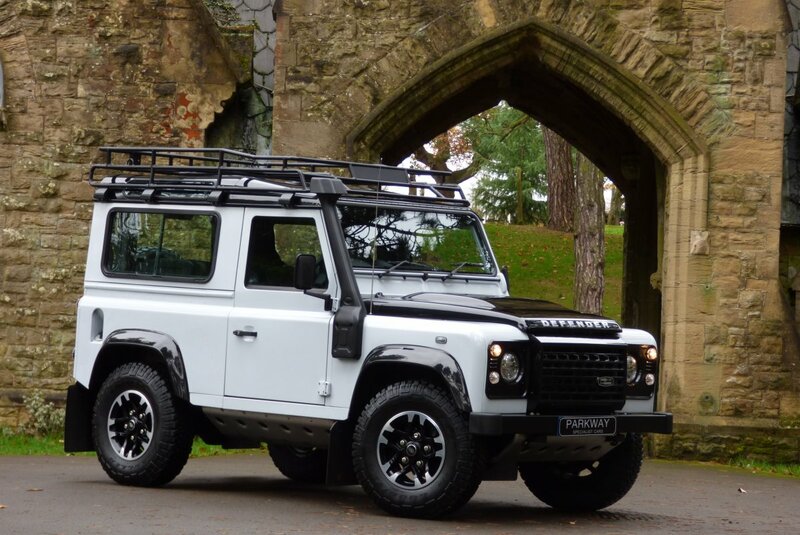 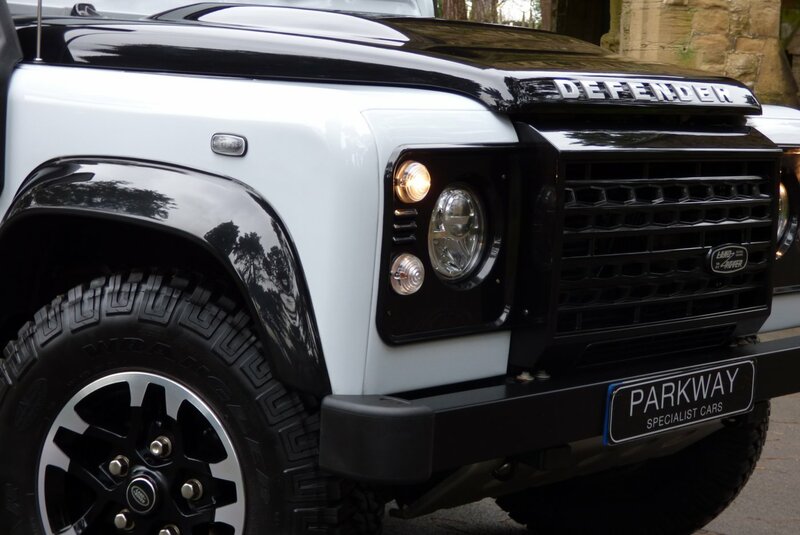 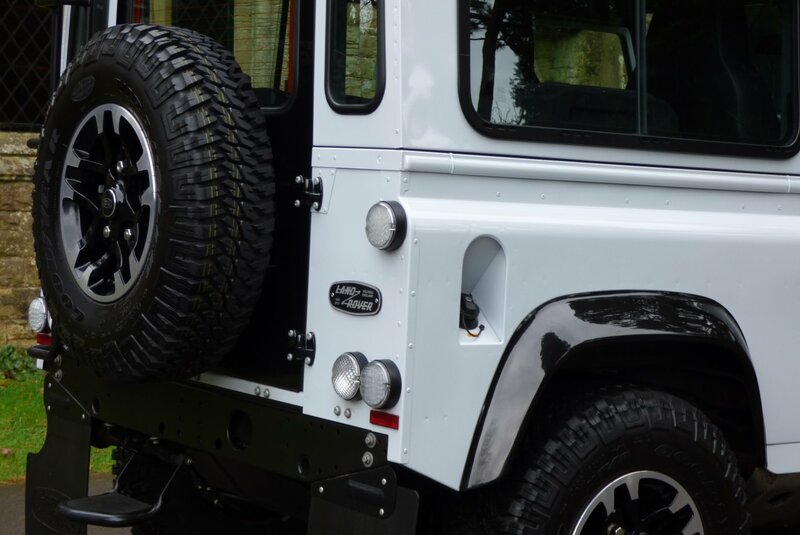 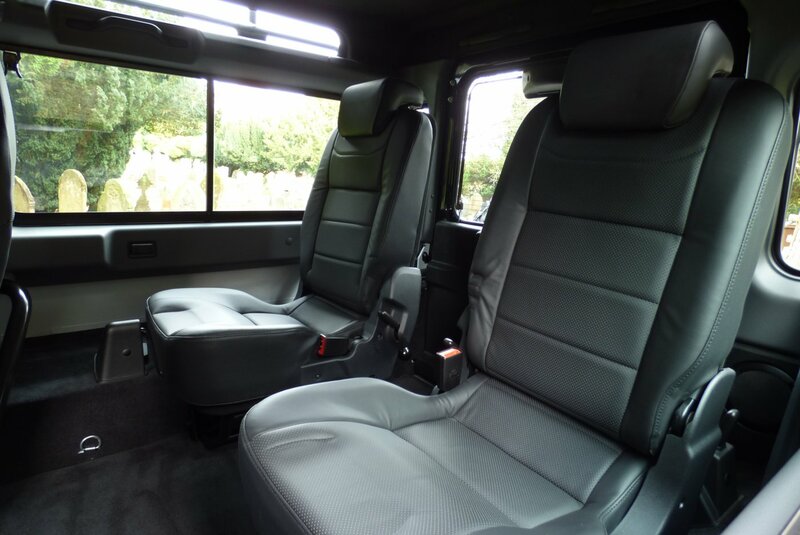 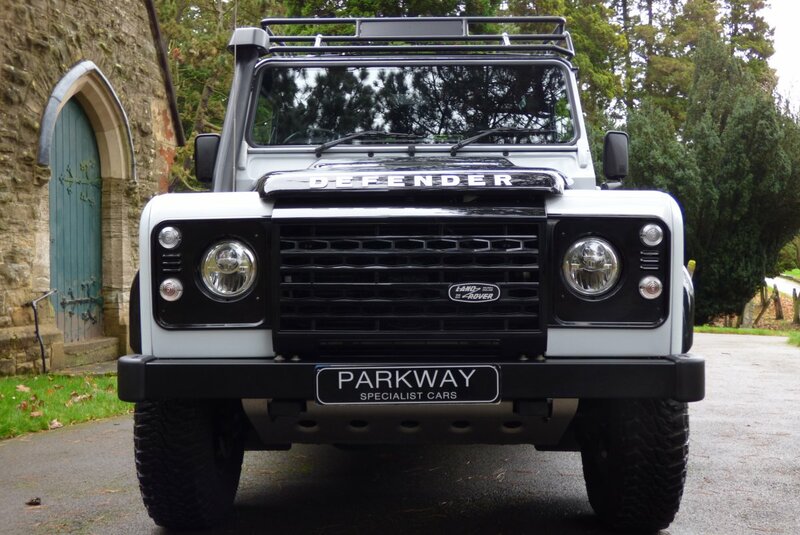 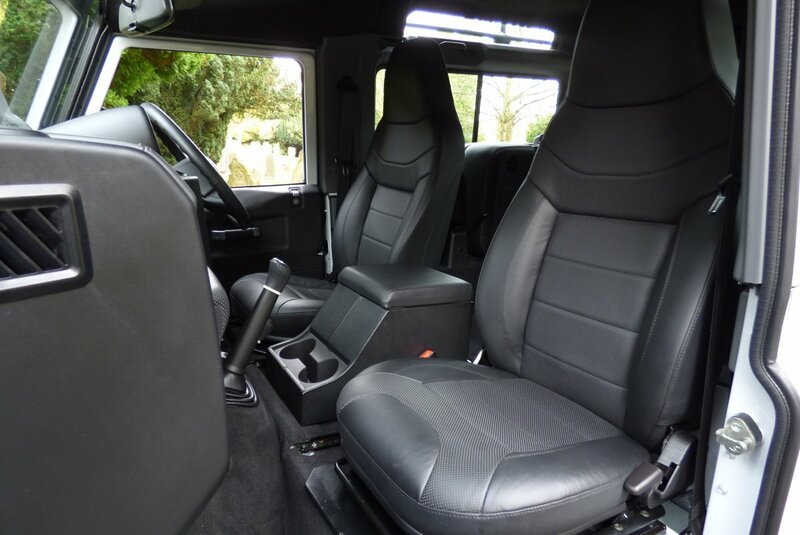 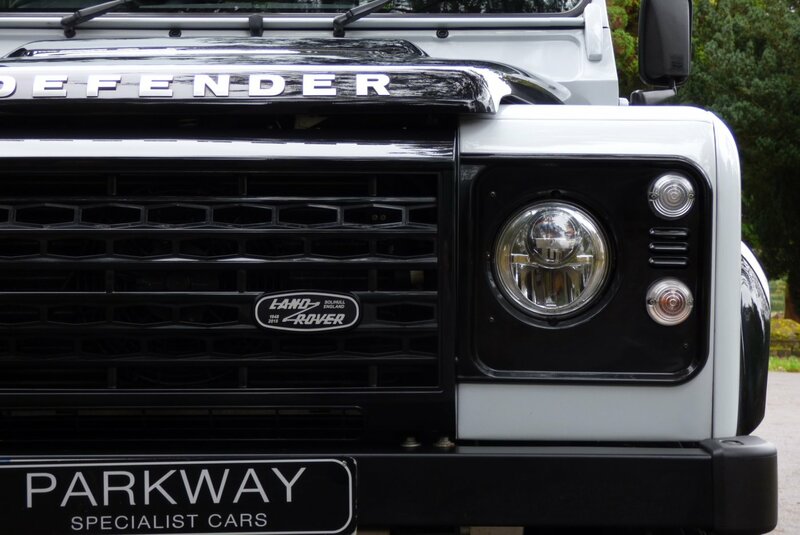 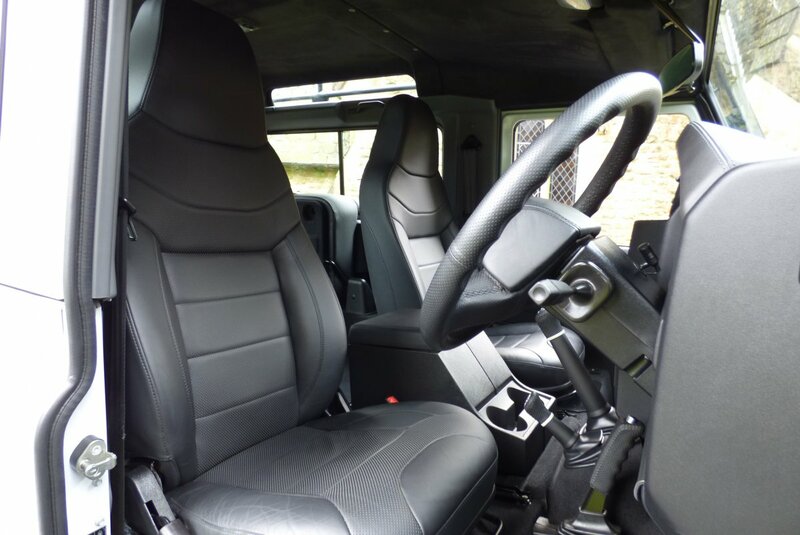 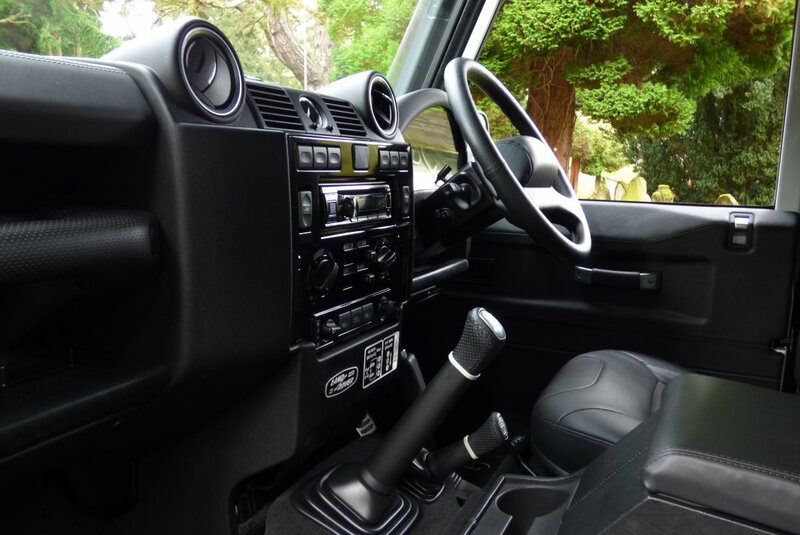 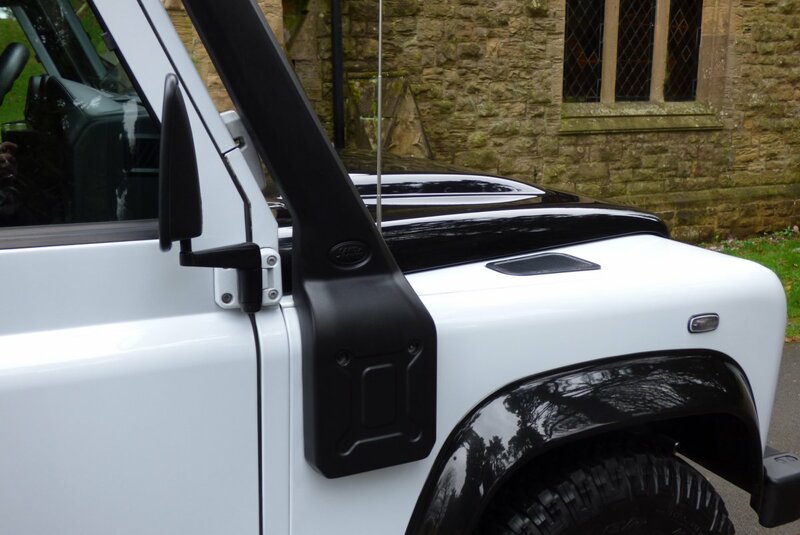 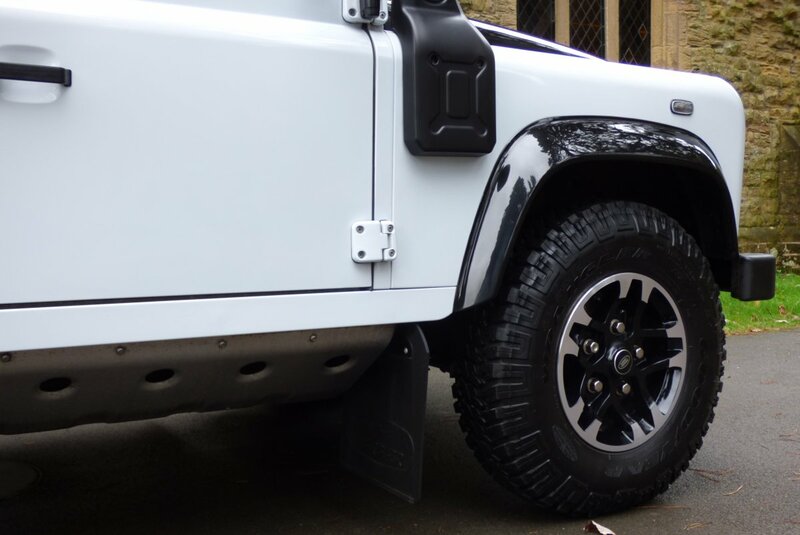 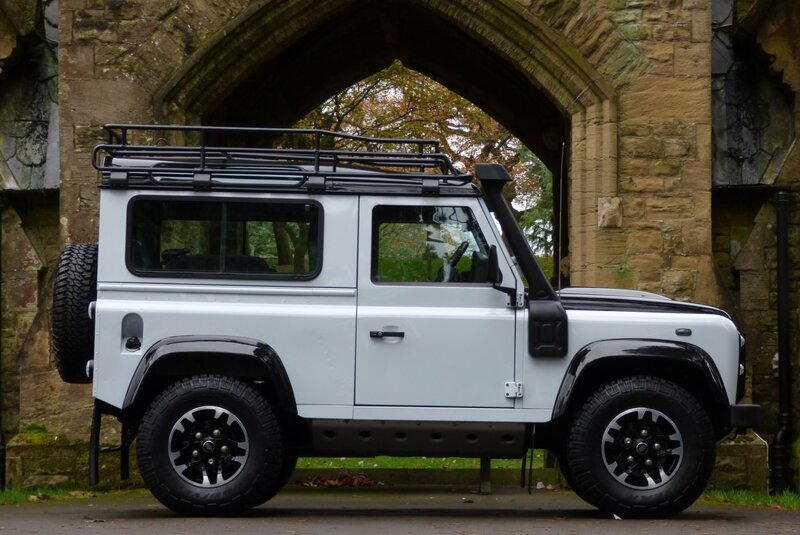 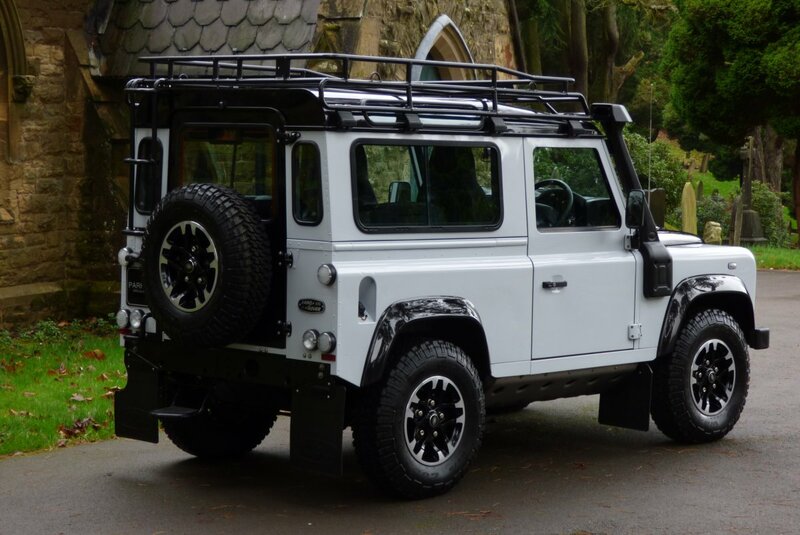 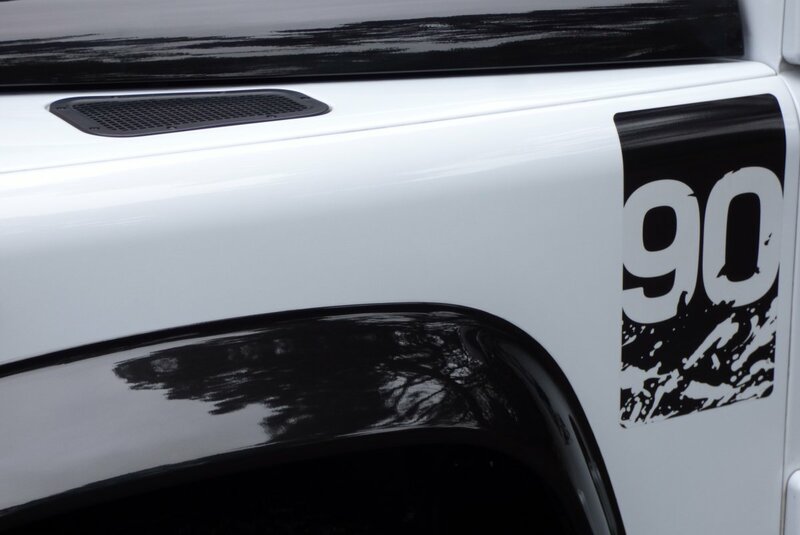 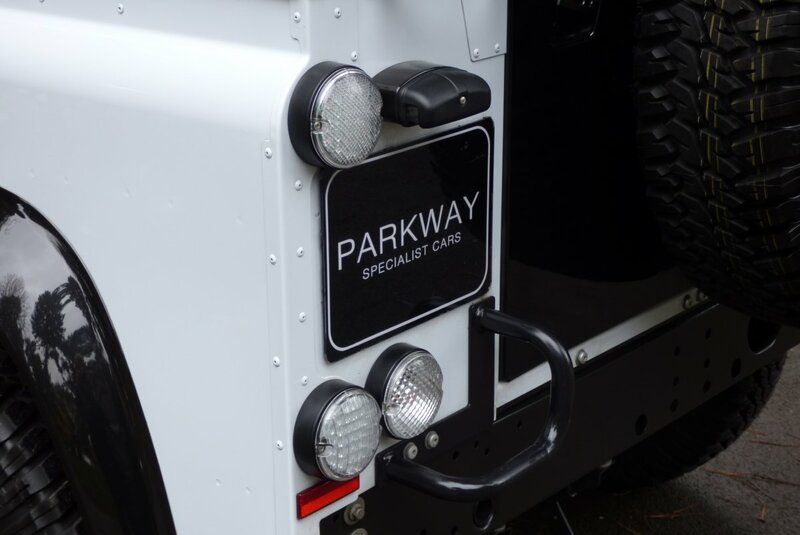 This Defender Is Also Packed With A Healthy Array Of Land Rover Technology, Meaning That Every Trip Is Perfectly Controlled And Highly Enjoyable Time And Time Again. 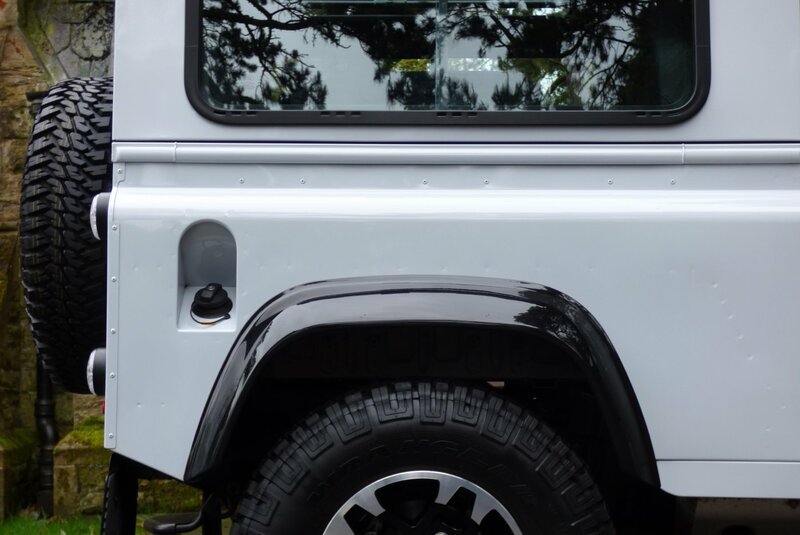 The Exterior Is Presented In Yulong White With Further Santorini Black Metallic Body Panels, All Of Which Perfectly Demonstrates The Signature Defender Curves And Showcases Those Land Rover Lines off, So Very Well. 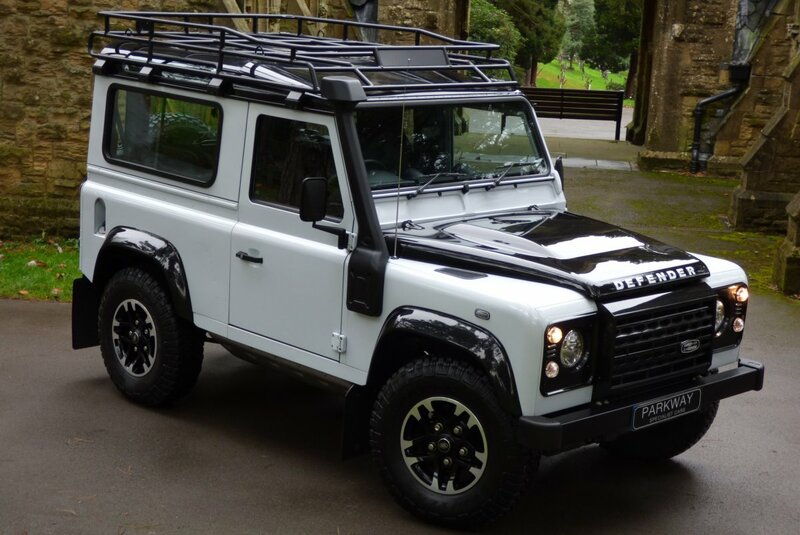 Further Factory Features Include Unmarked Diamond Turned 16" Gloss Black Five Double Spoke Alloy Wheels Which All Sit On Branded Tyres, The Gloss Black Wheel Arches, The Santorini Black Metallic Roof, The Land Rover Embossed Gloss Black Hexagon Front Grille, The Optional Land Rover Snorkel, The Optional Land Rover Roof Rack With Ladder, The Bonnet Defender Badge Finished In Bright Silver And Presented With The The World Famous Land Rover Heritages Motifs That Finish This Fantastic Vehicle Stance. 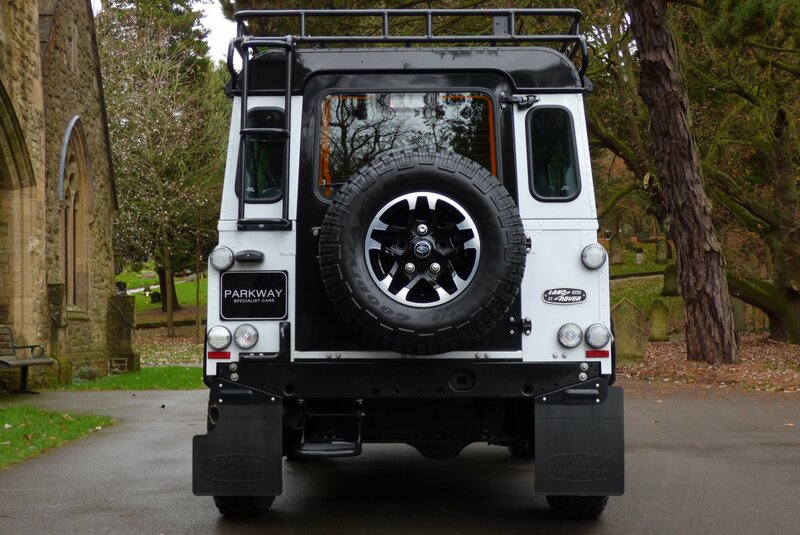 The Car Looks Stunning From Every Angle And Would Be Well Suited Outside A London Town House Or Travelling Over The Scottish Countryside. 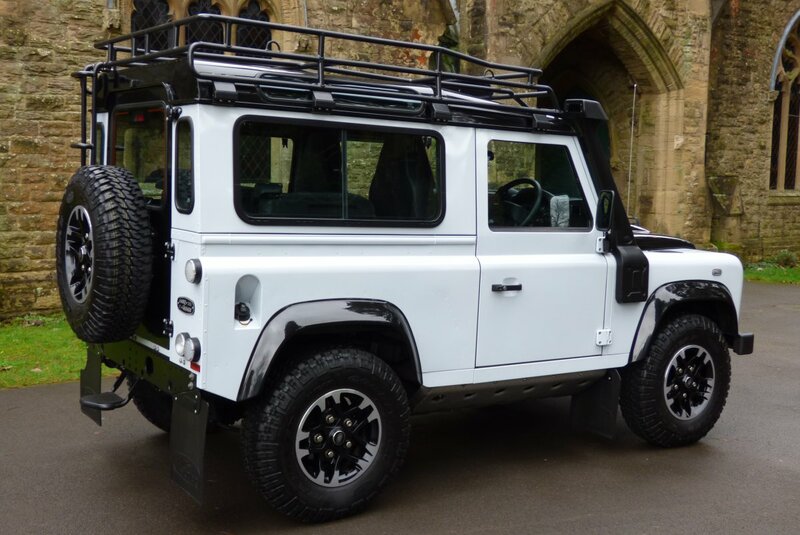 This Special Limited Edition Comes With Excellent Land Rover Options To Include Air Conditioning, Variable Heated Front Seats, Land Rover Roof Snorkel, The Land Rover Roof Rack With Ladder, Xenon Headlights, Unmarked Diamond Turned 16" Gloss Black Five Arm Alloy Wheels, Rear Mud Flaps, Alpine Radio With CD Function, Bluetooth Phone Preparation, Leather Bound Gear Selector With Chrome Detail, Land Rover Over Mats, Land Rover Steel Pedal Set, Remote Central Locking With Alarm, Under Body Protection System, Front And Rear Diff Locks, Heated Front Screen, Electric Windows, Sun Protection Privacy Glass, Leather Trimmed Cubby Box, Dark Grey Suede Roof Lining And So Much More. 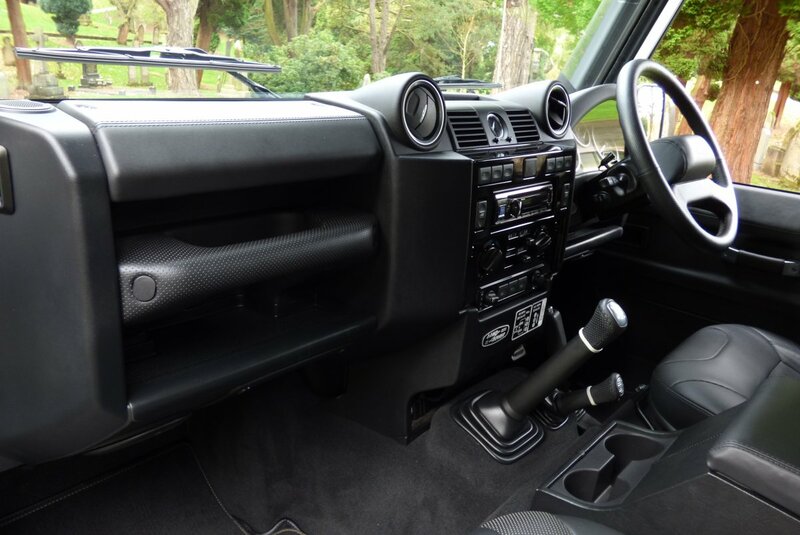 A Special Car With The Entire Booklet Packs, A Fully Key Set And A Fully Cleared Hpi Report.